Titled, signed and dated recto on the mount. Langdon H. Longwell was an important Chicago-based photographer and member of the Photographic Society of America who exhibited in over 50 salons in the 1920s, 30s and 40s, including the prestigious Pittsburgh Salon in 1926. His photographs are reproduced in several issues of The American Annual of Photography. This image is illustrated in the Camera Craft magazine article on the 1926 Pittsburgh Salon. 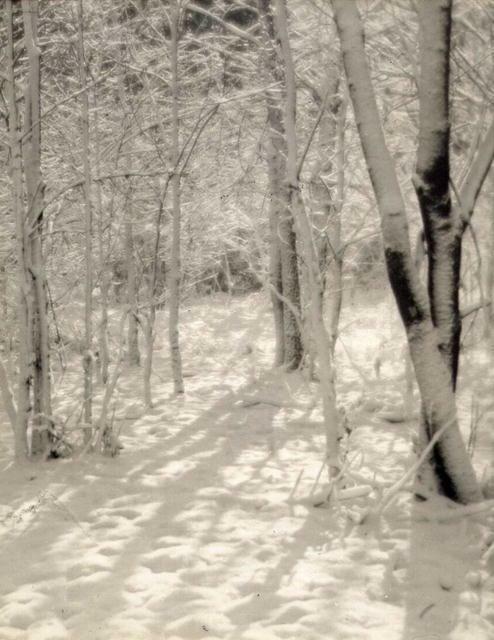 Items Similar To "Langdon H. Longwell: The Woods in Winter"